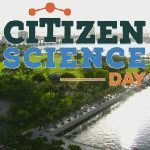 April 15th is National Citizen Science Day, so the Miami Science Barge has partnered with Chelle King fr. om Frost Science to help citizen scientists of all ages participate in a “BioBlitz” using the iNaturalist app (FREE for Apple or Android devices) to document the biological diversity in Museum Park. Join the University of Miami Rosenstiel of Marine and Atmospheric Science Alumni Association as they host Debris Free Oceans with a film screening of a Plastic Ocean at the University of Miami’s Rosenstiel School of Marine & Atmospheric Science auditorium at Rosenstiel School of Marine & Atmospheric Science, Virginia Key, Miami. Enjoy a free beer from Sailfish Brewing Company (with ID). FREE for students of any age. On the event field at Miami Seaquarium which overlooks Biscayne Bay and the Miami skyline for an awesome Earth day event! Guest speaker: Wildlife Biologist, Joe Wasilewski. Celebrating Earth Day at the Miami Seaquarium with a Beneath the Waves Mini Film Festival! 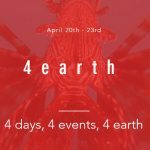 Showcase 4 -5 Beneath the Waves short films (20 mins each), the films have a strong focus on marine science and the issues surrounding our environment today. 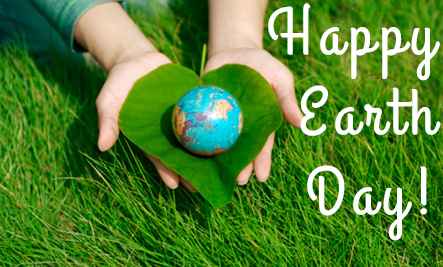 Get up and clean up in celebration of Earth Day! Friends of The Underline is partnering with the Miami Dade County Department of Transportation & Public Works to present Earth Day on The Underline, with members of your community volunteering to clean up the future Underline: Brickell Backyard from the Miami River to Coral Way. The March for Science Miami is to celebrate our enthusiasm and passion for science and to call for support in safeguarding the scientific community. Do the Shore Thing! 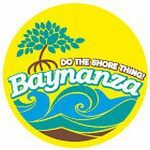 Baynanza is celebrating it’s 35th year on Earth Day, Saturday, April 22, from 9 a.m. to noon. Volunteer registration for the Biscayne Bay Cleanup Day is now open. Not only is this event for fishermen to take part in, but a day for the whole family to enjoy! Get a taste of lionfish by sampling them cooked in a number of ways, get creative by participating in lionfish jewelry workshops and learn more about what you can do at the local level to fight the lion fish invasion by visiting with our participating organizations! 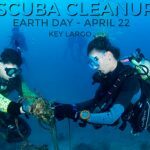 Join South Beach Dive and Surf Center and Debris Free Oceans this Earth Day for a reef cleanup scuba diving trip in the crystal blue waters of Key Largo! Meet at South Beach Dive Center at 850 Washington Avenue, Miami Beach, then stay for the after-party in Key Largo. South Beach Divers provides free transportation to and from Key Largo. Miami Seaquarium is holding a beach clean-up at Hobie Beach on Virginia Key, next to the park. Along with cleaning the beach, we want to conduct research on what kind of trash we find. Once we know the kind of trash that is abundant on our local beach, we can reach out to the community and inform them of alternatives to these items that can be used more than once. An evening of supporting the Shark Research and Conservation Program’s work to preserve the marine environment and its Sharky inhabitants. All proceeds/donations from the evening will go directly towards the Miami’s Shark Research and Conservation Program. 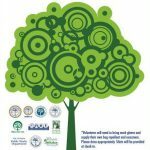 Yes, April also celebrates Arbor Day, and the City of Miami is partnering with Citizens for A Better South Florida to lead volunteers in a day of activities at the Virginia Key Park and Nature Conservancy Restoration project. 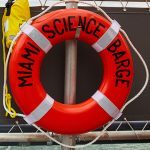 Miami Science Barge will host the Shark Research and Conservation Lab from University of Miami RSMAS. Student researchers will discuss their Urban Sharks initiative, highlighting how sharks can live in an urban environment (all around the Barge and downtown), as well as debunking the scary mysteries of sharks and discussing their ecology and threats they face.